The name of Nasir Saeed Khosa, former Chief Secretary of Punjab, has been withdrawn as the Caretaker Chief Minister of Punjab. More than Khosa’s credentials and alleged political allegiances, the withdrawal denudes the hasty planning process of PTI. Punjab is the most important of all the provinces in terms of winning the upcoming elections 2018 on 25th of July, but PTI took it as lightly as it took NA-154 in February 2018. And this withdrawal is alarming. The constituency of Lodhran was considered a stronghold of the Pakistan Tehreek-e-Insaaf (PTI), and its loss came as the total unexpected victory to PML-N. PML-N’s candidate, Iqbal Shah, won with a huge margin by attaining 113,542 votes, while his competitor, PTI’s Ali Tareen (son of Jahangir Khan Tareen), contesting his first election on his father’s seat, attained only 85,933 votes.Many political stalwarts from within the party resisted Ali Tareen selection for contesting the Lodhran but, obviously, it fell on deaf ears. With Mr. Khosa’s name withdrawal , it appears once again that the political bulldozing within the party was resisted successfully at the eleventh hour. Mr. Khosa was not turned to for consent prior to the recommendation of his name for the top slot of the interim setup in Punjab, according to media reports. If this rumor is true, it further explains the brashness of the party volition. Mian Mehmoodur Rashid, leader of the opposition in the Punjab Assembly, told the media yesterday that party had taken the name back following the reaction “within” and outside the party for installing Mr. Khosa as Caretaker Chief Minister. The house committee meeting was held immediately under the chairmanship of Imran Khan in Bani Ghala to recommend other names, in which Shah Mehmood Qureshi, Jahangir Khan Tareen, Pervez Khattak, Dr. Babar Awan, Imran Ismail, Dr. Shahzad Waseem, Asad Omar, Dr. Shereen Khan Mazari, Shafqat Mehmood, , Shibli Faraz, Murad Saeed, Azam Swati, Naeem ul Haq, Nadeem Afzal Chan, Liaqat Jatoi, Iftikhar Durrani, and many other important names were present. It stupefied us all that Mian Mahmoodur Rasheed came up with a name and the archrival PML-N’s Chief Minister Shehbaz Sharif right away, without a fraction of resistance, agreed over the name of Nasir Saeed Khosa as the Caretaker Chief Minister of the province. It appeared as if PTI was playing for PML-N from Punjab. PTI’s central information secretary, Fawad Chaudhray, in a television show last night, bluntly accepted and told that suggestion of the name was not engraved in stones, and oath-taking had not taken place yet. So there is no point for this criticism. In the past five years, PTI’s entire fight was geared toward exposing corruption through mass media rather than working on provincial constituencies. Chief Minister Shahbaz Sharif not only articulated his surprise over the PTI’s change of heart but also affirmed that “now this matter has to be legally looked at. It has to be seen whether it is allowed for the party to withdraw the name after making a public announcement.” He further told that “Mr Khosa’s name had been given by the PTI and finalized after a detailed consultation.” It is beyond one’s comprehension why PTI withdrew the name of its own nominee after finalization of the process,” CM Punjab, Shahbaz Sharif, wondered. Mr. Khosa has been very close to PML-N for the past many years and it’s a known fact to all. PTI not in the know of such a fact is obfuscating for many as it is the second largest political of Pakistan. PTI Chief, Imran Khan, struggled long and hard for more than two decades for the supremacy of justice. And it would be tragic if few of his players fail him when he is so near to crowing his struggle. 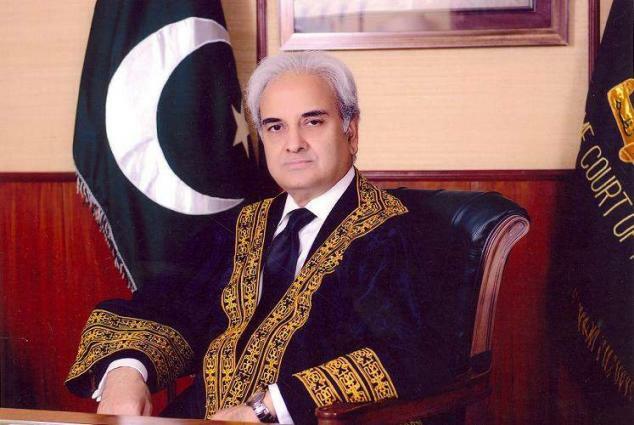 Recently, PTI also warmly welcomed the Caretaker PM, Justice (retd.) Nasir-ul-Mulk. Justice (retd.) Mulk is the same judge who declared the General Elections of 2013 “fair”—the very point on which PTI carried out the sit-in of 126 days in 2014. Prior to this endorsement, PTI’s induction of Aamir Liaqat Husain with the excuse of securing electables for the upcoming elections 2018, was a concern for many. Husain, a televangelist with a political background, is notorious for inciting public sentiments with his religious slurs and insulting remarks against minorities. He was also allegedly exposed for acquiring fake degree from Axact degree-mill. According to the media sources, his name was discovered on the server of Axact when raided by FIA. With his induction, many old workers and friends of PTI of more than two decades parted ways. Rest assured, this parting was not an amicable one. And those who parted ways upon the induction of Aamir Liaqat Husain were proven right when he got recently banned to run into an unwarranted argument with a religious scholar and a caller of his program from India. Such media-stunts of Husain would definitely taint the image of PTI. It is gravely feared that if they don’t work on the careful selection of electables with a coherent and active in-house political process, their struggle for “change” would remain an apolitical rhetoric contradictory to their political aspirations of securing power in the federation. PTI can’t win just by exposing the corrupts which in itself was an uphill task; it needs to beat them technically as well. Or else this nation has a tendency to select the corrupt again and again owing to the deeply penetrated illiteracy and poverty. Author can be followed on Twitter at m_r_a_.